Bajaj Auto which is on an aggressive mode while leader Hero Honda is in jitters over its impending JV issue with Honda is now planning to go the bottom of the pyramid. The company has said that it is planning massive distribution network expansion to meet robust growth targets, adding 130 new dealerships and upgrading 1,100 service centres by next festive season. The company which has its strategy clear with premium Kawasaki and KTM brands, it is planning to distribute two brands Pulsars and Discover to be the two major brands. The new dealers, largely in small towns, would take the total number to more than 600 dealerships across India. Hero and Honda to shortly finalize termination of their 25-year old JV partnershipIt had been one of the major success stories in the automobile sector. Hero Motors and the Japanese giant Honda had came together in 1984 to build and sell motorbikes much before the door was opened to reforms in the country. The Hero Honda motorcycles had changed the two-wheeler market forever in the country and now suitably enjoy the largest two-wheeler manufacturer position. But all this could change in a matter of few days now. It was in 2004, the Hero group and Honda extended their agreement for 10 years, under which the Japanese partner would continue to provide technology to the JV. The technology agreement is valid till 2014. But the dream run is all set to end with Honda itself is contending in the market with its own host of motorcycles competing directly against the Hero Honda stable. There has been various reports in the past few months about the impending end of the JV in which Honda has 26 percent stake. Royal Enfield, the iconic motorcycle brand has been one of the oldest playerin the two-wheeler segment in India. The motorcycle enthusiasts who were excited by the new offerings by the company like the Classic 500cc and 350cc and also the new Twinspark Thunderbird had to wait for months. That should end soon if the Royal Enfield’s parent company Eicher Motors has its way. Eicher Motors has stated that it plans to set up a new facility to augment production capacity to up to 10,000 motorcycles per month over the next few years, according to agency reports. The report quoted Eicher Motors managing director and CEO Sidhartha Lal saying "We will be continuously looking to ramp up the capacity, even up to 10,000 units to meet excess demand, for which we are looking at options of setting up a new manufacturing location." According to him, the company produced 4,000 units on average every month last quarter, far lower than the design capacity of 5,000 units, due to internal constraints at its Chennai facility. "Very soon, we will be back to the 5,000 units per month mark and by next year, we will be reaching the 6,000 units per month mark," Lal said in the report. But the company is yet to zero-in on a location to set up the new facility nor the investment requirement of the project. HMSI which has started with scooters in India while its JV with Hero motors has ben realy successfullm of late it has been concentrating on bringing more models. There have been talks of the impending exit of Honda from the JV. The company now has a two-wheeler manufacturing plant at Manesar in Haryana with an annual production capacity of 1.55 million units per annum while the second plant, with a production capacity of 6 lakh units, is coming up at Tapukara in Rajasthan. The report said that the proposed manufacturing facility in Andhra Pradesh will be HMSI's first in South India. Honda officials have submitted their proposal for setting up the two-wheeler manufacturing facility two days ago. Initially, the unit would manufacture 2,000 two-wheelers per month and gradually increase the capacity. But they are yet to submit a detailed project report. It has also been mentioned that two more global companies -- Italian industrial manufacturing firm Camozzi and Korean power equipment major Hyosung Corporation -- are planning to invest Rs 300 crore and Rs 450 crore, respectively in Andra Pradesh. The Camozzi Group has also come forward to set up its textile and other industrial equipment manufacturing units near Hyderabad. Hyosung has sought allocation of 25 acres of land at Mannavaram near Tirupati where the NTPC-BHEL joint venture power plant equipment manufacturing facility is coming up. 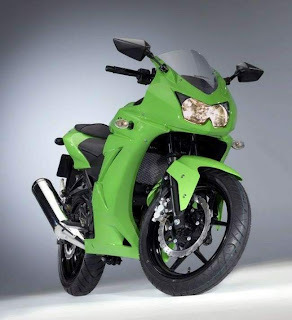 All the jaws dropped in excitement when Kawasaki India’s MD Mr. Tangigawa, Kawasaki India’s MD said that they are in no sort of competition with Honda CBR250 because both the bikes are different as regards performance and looks. He further said that they do not foresee Honda CBR250, which was recently unveiled, as a threat. Mr. Tangigawa said that there is no competition between Kawasaki Ninja 250R and Honda CBR 250 because they have different following. He elaborated the fact that Ninja 250R sports a parallel twin engine as opposed to single cylinder engine in Honda CBR250. He was of a opinion that customers who would prefer an entry level bike would go for Ninja 250 over CBR. Kawasaki clearly stated that they do not have any competition with Honda because both bikes are different as regards look, power, efficiency and styling. Whatever he may say but we know for sure that with Honda coming up with CBR 250 the equation is going to change. Though Ninja 250 has everything a biker may want in his bike, completion from Honda cannot be ruled out. Overall, one can just say that the fight has just begun and it will definitely go miles. Royal Enfield Company was found in the year 1893, in Great Britain. The word “Royal” was added to company name in the year 1911, few years before First World War started. 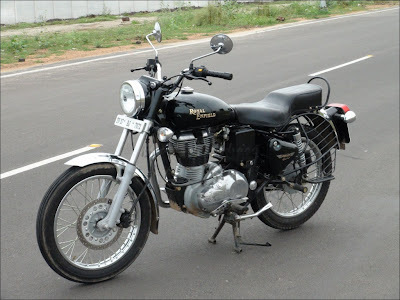 By that time Royal Enfield was producing motorcycles with 225cc and 425cc V-twin engines. The most memorable model from next 20-30 years was the Royal Enfield WD/RE (Flying Flea) – a lightweight 125cc motorcycle, created to support soldiers in Second World War. The Bike had an engine that churned out 4bhp and maximum speed of approximately 60km/h. Another great motorcycle was post-war Royal Enfield Model G 350 – it had new telescopic front fork and great power at one’s disposal, while price was quite modest the bike sold like hot cakes. Suzuki which is a clear leader in the four wheeler segment with Maruti is yet to get a definite ground in the two wheeler segment. But the company which now has a couple of products in the offing for the customers is registering impressive growth. Suzuki Motorcycle India has reported a 60.51 per cent growth in sales in October at 25,439 units compared with 15,849 units in the same month last year. The company has attributed its growth to the good response for its motorcycle GS150R, scooter Access125 and the recently launched bike SlingShot. Suzuki has also brought in premium motorcycles in a hope to attract to niche segment. The company offers the globally revered superbike Hayabua along with a couple of other premium offerings in the selected cities.But this exercise is seen as a image enhancing process rather than adding to the numbers. “We have received very good response from the market to all our products including the newly-launched, Suzuki SlingShot. We are committed to continue this growth momentum in future,” the Suzuki Motorcycle India Vice-President (Sales and Marketing), Atul Gupta, said in a statement. The two wheeler segment has seen a slow growth in recent months but again October has turned out to be a good month for automobile companies. One of the major players in the two-wheeler segment, India Yamaha Motor has reported 19.21 per cent increase in its total sales in October at 37,251 units. 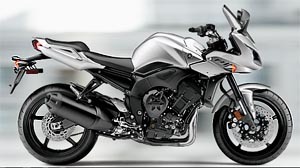 The company had sold 31,247 units in the same month last year, India Yamaha Motor said in a statement. In the domestic market, the company’s sales stood at 31,791 units, as against 26,897 in the same month last year, up 18.20 per cent. According to the company, exports of India Yamaha rose by 25 per cent to 5,460 units from 4,368 units in the year ago period. India Yamaha Motor which had been lagging in the market a couple of years ago has now been on forefront with the launch of the two bikes R15 and FZ series which has changed the fortunes around for the company. “We are overwhelmed with the encouraging response we have been receiving for our premium segment bikes such as YZF—R15 and FZ series including new limited edition FZ series bikes,” India Yamaha Motor Director (Sales and Marketing), Koji Arai said. Harley-Davidson, the iconic American cruiser is moving forward with the launch of operations in India to assemble motorcycles for the Indian market from component kits supplied by its U.S. plants, the Company announced today. The Company expects the CKD (complete knock-down) assembly facility to be operational in the first half of 2011. The announcement comes as U S President Barack Obama prepares to travel to India on a state visit focused on strengthening ties between the two countries, including trade and economic opportunities. “We are building a strong foundation for our business in India, first by establishing a world-class dealer network, and now by commencing CKD assembly operations. It is important for us to continue to invest in strategies that make our products and experiences accessible to an increasingly broader set of customers across India,” said Anoop Prakash, Managing Director for Harley-Davidson India. The svelte beauty of Bollywood Kareena Kapoor is all set to zoom in on the TVC from Mahindra Rodeo. The ad is being hoped to give fillip to the Mahindra two wheelers segment. Mahindra Two Wheelers entered the two-wheeler market in January 2009 with ‘Flyte’. This was followed by the launch of 2 new models, Rodeo and Duro, in September 2009. The company states that they are aware what they are trying to communicate. The scooter category is dominated by Activa followed by TVS Scooty range and Hero Honda Pleasure. If a new brand like Rodeo has to succeed, it must redefine expectations from a scooter and get people to see it in a new light. Even from a Portfolio perspective, Rodeo was targeted towards younger males, Duro towards older males and Flyte would be towards females. While Power and style have been played by for Rodeo however connect with the youth needs to improve. Currently there are 50 percent users higher age group users of Rodeo. There is also a need for Unisex positioning of Rodeo so as to expand the TG base and also to have a stronger connect with its target audience by bringing fresher younger look to the brand and at the same time being feature. The company expect this new communication to give brand a younger & fun filled imagery. A brand which both the sexes would want to be associated it. Thus create a distinct imagery for the brand to differentiate it from other brands. Also continue with Power and style positioning and as there is a need to have a strong connect with its Youth audience and appeal to both the genders by talking their language.